The group of New House Construction is in charge of your townhouse project from A to Z from the search of land, through plans and turnkey construction. A city residence is also called a townhouse. It is a set of several houses usually with a narrow façade and rather elongated towards the back to maximize the use of a plot of land. We have economical models of townhouse projects with only 21 feet of frontage and no basement with three bedrooms. For a group of two houses we will speak of semi-detached houses, whereas for 3 and more we call them townhouses. By its nature and shape of construction, a townhouse project requires more land to allow the construction of at least three houses attached to one another and it rather addresses itself to a promoter or a group of business people who wish to build in order to resell or for people who know each other and want to live in a community all the while saving and maximizing land and construction space. The townhouse can adopt several styles: contemporary, Victorian, Canadian or other. A housing project in the city can usually be one of one, two or three floors. Townhouses are a compromise between the condo and the one-family home. The condo requires regulations and a community convention while a townhouse residence in the city allows for more autonomy but less land space than the individual house. A row house such as a semi-detached residence has especially first-home buyers, professionals or young families who want more autonomy and privacy of land than owners of condos. 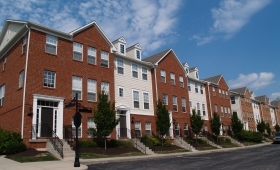 Whether you are a developer or a group of business people, the New House Construction under the direction of Construction Daniel Dargis Inc. takes care of: finding the land, mounting the project taking into account your budget, making the plans, applying for the permits and the turnkey construction of your townhouse project.